Hooray for Summer! My daughter reminded me that last year at this time we were on our 'girls' long weekend at the beach...gosh, I wish I were back there! There's nothing like the ocean breeze, white foam waves hitting the sandy shore and bright sunshine! For my card, I created an ocean theme (because I really do want to be there :) First, I made the waves using the Doin' The Wave Confetti Cut and cut Navy, RC Aqua, Mist and Baby Blue Cardstock and placed them on the Premier Polar card base. I added the frame using Mist Cardstock cut with the All Framed Up Confetti Cuts. 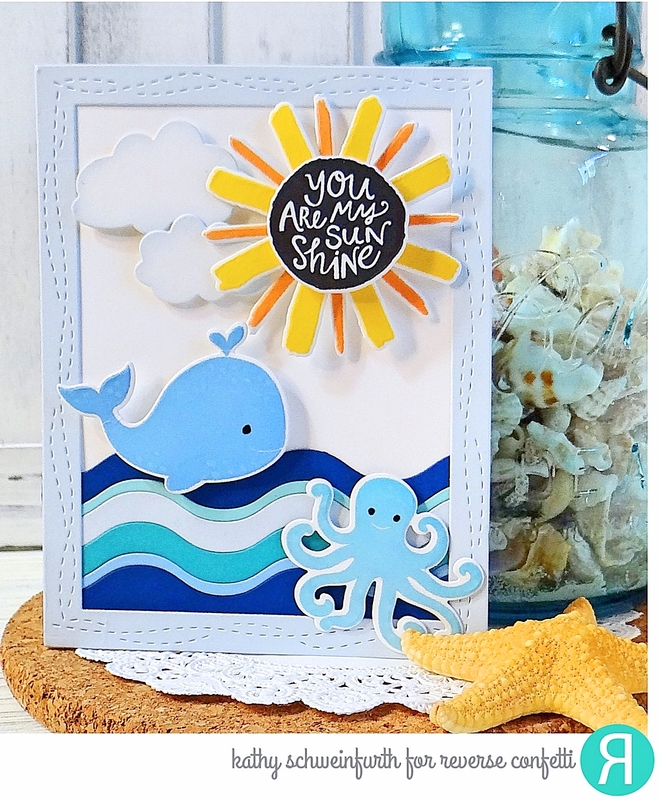 The cute whale and octopus images are from the very fun Seaside stamp set and coordinating dies. 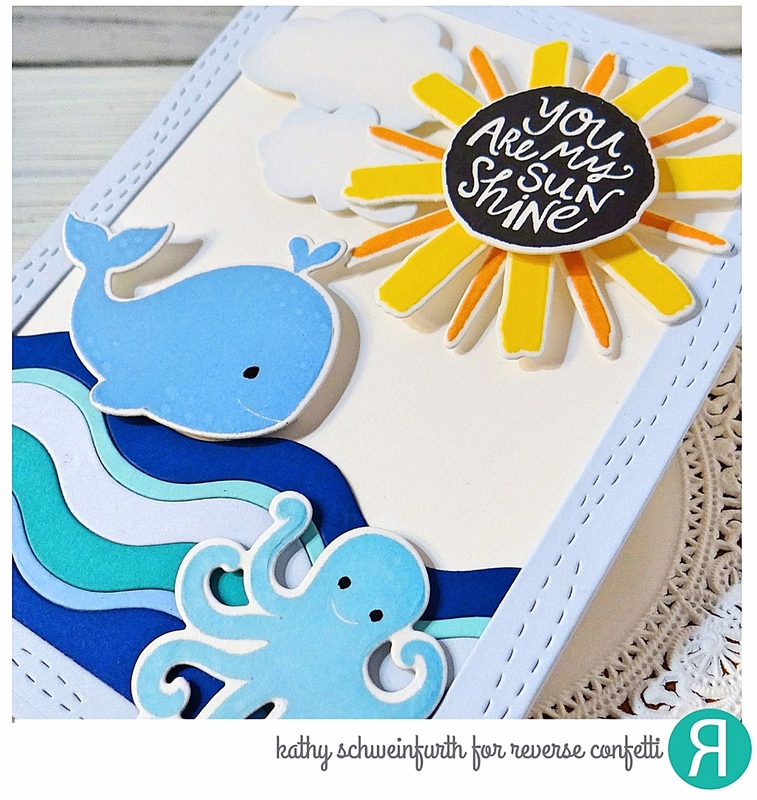 The bright sunshine and center sentiment were made with the the My Sunshine stamp set and coordinating Confetti Cuts. The puffy clouds were cut with the Sun 'n Clouds dies and the edges sponged with Mist ink. Oh I love this bright and cheery card!!! What a fun and colorful scene. Great card - love this adorable face! 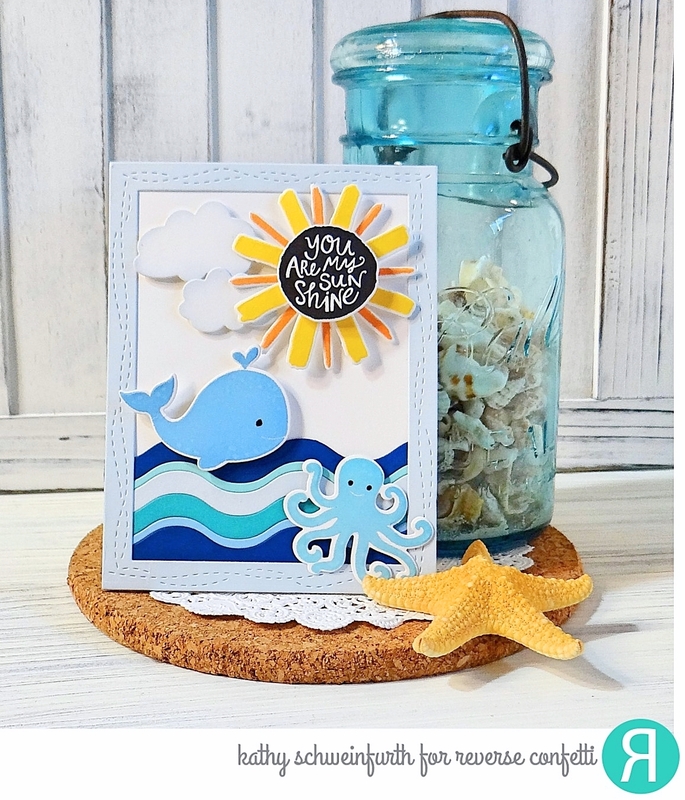 Love the beach card. The beach is my happy place!